Matthew Nevin is an Artist, Curator, and Co-Director of The MART Gallery & Studios Dublin and Contemporary Irish Art Center Los Angeles (CIACLA). As a cultural producer he is devoted to providing artists with the support, guidance and resources they need to create and display art. His aim is to generate experiences that inspire curiosity while challenging perceptions and promoting the arts. Through MART he supports over 150 studio members across eight buildings in Ireland’s largest studio network. Matthew works closely with artists at all stages of their career and has curated over 60 exhibitions in Ireland, UK, Central Europe, USA and Japan, leading projects on national, European and international projects for MART, CIACLA, PQ, IrelandWeek, EUCIA and Imagine Ireland. Matthew is a passionate advocate for the arts, with a keen interest in sculpture, installation, experimental film and performance art. Through his own artwork, such as ‘The Core Project’, he looks to create conversation and dialogue about key world issues, directly connecting the audience with a relatable narrative. He has a particular interest in the creation of spaces and projects that break down barriers and maintain an inclusive ethos. Matthew completed a Degree in Film & TV and Scenography from University of Wales Aberystwyth and a Masters in Art in the Contemporary World from National College of Art & Design Dublin. He also works as a Film & Television Art Director and Designer in the UK, Ireland and the US and has previously worked for the BBC, MTV, RTE, TG4, Element Pictures and ITV. 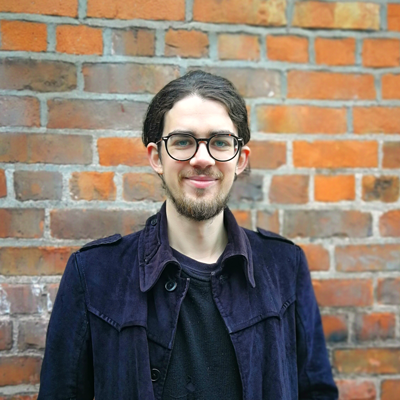 Matthew has secured funding from Culture Ireland, Arts Council of Ireland, Kildare, Galway & Dublin City Councils, Visual Artists Ireland, IFA Germany, Alliance Francaise, David Manley Awards, JEC Fund, Dept of Foreign Affairs Ireland, Creative Ireland and received a commission from Ralph Lauren. 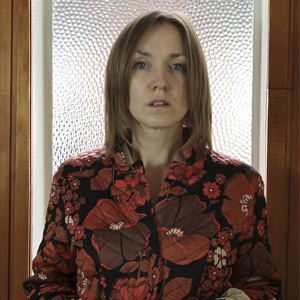 Ciara Scanlan is an artist and curator based in Dublin. She is Co Founder of MART & CIACLA. She has MA in Art in the Digital World from NCAD Dublin and graduated from Crawford College of art in 2005 with a First class BA in Fine Art. Scanlan’s own Art practice she is interested in the ever-present force of the media and its ability to both unify and segregate society and works primarily through the medium of Video, performance and interventions. 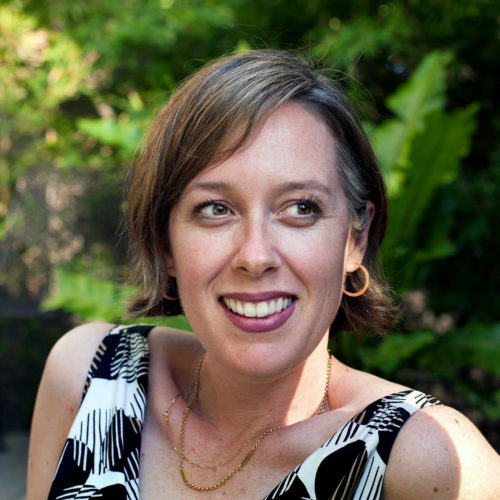 Jennifer Minniti- Shippey is the Managing Editor of Poetry International literary journal, Director of Poetic Youth, and a professor at San Diego State University. She earned her B.A. with honors in English from Randolph-Macon Woman’s College in 2003, and her M.F.A in Creative Writing- Poetry from San Diego State University in 2008. In 2009, she was hired as the Managing Editor of Poetry International, and she has taught at SDSU in the Department of English & Comparative Literature since that time. Jennifer has also taught poetry at the University of San Diego and in community writing workshops through the Creative Cusp, the Magee Park Poets, and other San Diego arts organizations. Jennifer’s chapbook, Done Dating DJs, won the 2008 Fool for Poetry Competition, sponsored by the Munster Literature Centre and Southword Editions of Cork, Ireland. Her second chapbook, Earth’s Horses & Boys, was published by Finishing Line Press in 2013. After the Tour, her first full-length collection, was published by Calypso Editions in 2018. Individual poems, translations, and reviews have appeared in Salamander, Cider Press Review, Spillway, Tar River Poetry, Jackson Hole Review, San Diego Poetry Annual, The San Diego Union-Tribune, and many others. Minniti- Shippey has performed her work at national and international venues, including The Narrators San Diego, the San Diego Art Institute, the Éigse Literary Festival in Cork, and MART Dublin. Sinéad Finnerty-Pyne is a first generation Irish-American curator and event producer. She has an MA in Curatorial and Museum Studies from CSULB and graduated with an BA in Art History from Loyola Marymount University. 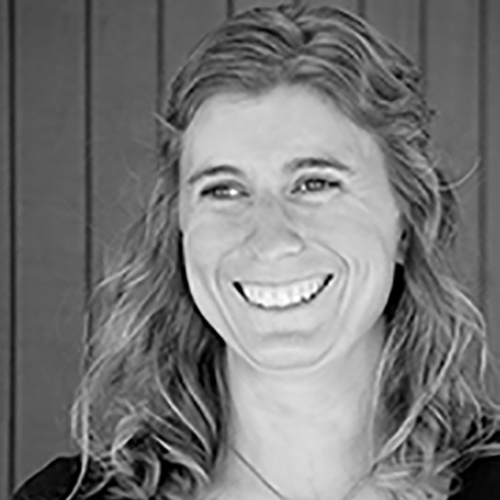 Sinead has over fifteen years of experience in curatorial practice, exhibition production, and studio management at small and midsized institutions throughout Los Angeles, and is currently the Project Strategist at Lorcan O’Herlihy Architects [LOHA]. 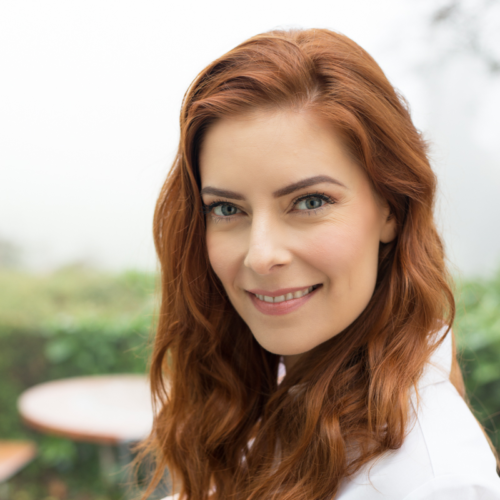 Jenn is an Irish actress, producer and host who relocated to LA in 2017. Along with working in the film and TV industry in LA she is a part time scholarship student of The Stella Adler Academy of Acting and Theatre, Hollywood. At the school she is also Head of Outreach co-ordinating the delivery of acting for camera and drama to local high school and middle school children. Back in Ireland in 2007 Jenn joined national Irish broadcaster TV3 (Virgin Media Television) to become a reporter, researcher, producer, wildlife presenter and voice over artist for the station. She worked hand in hand with the station for 11 years on blood pumping world of live TV. 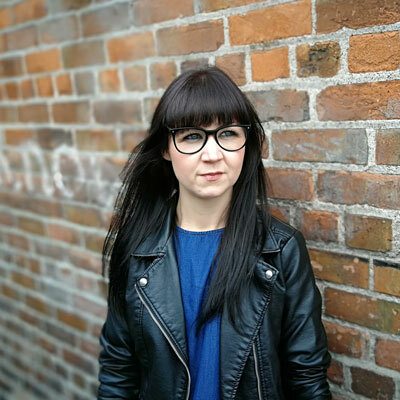 Before leaving Ireland, Jenn curated the first series of Irish short film on TV3 (VMT) providing a prime time slot for the art of modern Irish short film on the station. Her TV credits include fronting Irish advertising campaigns for Chill Insurance, Ribena, O’Briens Sandwich Bars and Ulster Bank. She has also acted in reconstruction roles for TV3 Ireland’s 24 Hours To Kill and Cocaine Wars. Jenn recently completed short film No Name, in Hollywood and Goodnight Noises. She wrote and produced Tae Talk and Tae Talk 2 which screened at Galway Film Fleadh 2016, the Hollywood Short and Sweet Film Festival last year and was honoured to be part of Irish Screen America last year. In 2013 Jenn co-wrote acted in and produced Princess Rehab with Park Pictures, the short was part of the official selection for the Galway Film Fleadh that year. Jenn is the leading role of Aisling in Irish acclaimed feature film The Legend Of Harry and Ambrose, 2016. Her qualifications include; Stella Adler Acting Academy in Hollywood, A master class in technique by actor and mentor Dmitri Boudrine . Honours degree in Performing Arts and Theatre, Swansea, Wales and a Diploma in Theatre and Media Production, Colaiste Dhulaigh, Dublin. Jenn is a singer/song writer has received training from Anne Maire O’Sullivan, and Owen Lynch of The Newbridge Vocal Academy. She has trained with Tommy Ellis of Velvet Voice working on voice over technique for radio and tv. Jenn has traveled to far flung places like Ecuador, South Africa and Laos to work as a volunteer on rescue centers and to learn about wildlife conservation and is also employed as a freelance travel host for Miles Partnership and Brand USA. Bernard O’Rourke is the marketing manager for MART Gallery & Studios and the Contemporary Irish Arts Center Los Angeles (CIACLA). 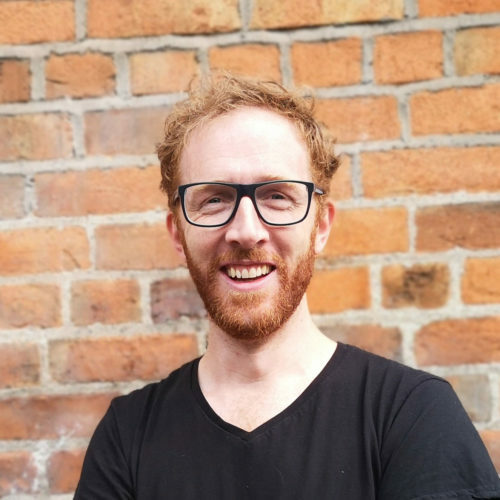 Specialising in new media and digital marketing, Bernard has coordinated global marketing campaigns promoting the contemporary arts to Irish and international audiences. As a journalist, he has written for The Visual Artists News Sheet, The Irish Independent, Magill, Totally Dublin, GoldenPlec, and HeadStuff. His fiction has appeared in The Tangerine, Spelk, Queen Mob’s Teahouse, The Honest Ulsterman, The Bohemyth, and Wordlegs. 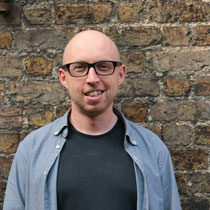 His work has also been shortlisted for the Ó Bhéal Poetry Film Prize and the Doolin Writers’ Weekend Video Poetry Prize. Bernard has a BA in English and Philosophy from Maynooth University and a MA in Journalism from Technological University Dublin. An artist, lecturer and curator specialising in gender and new media. With particular focus on tensions between the experiential and the spectacular body, her research investigates gender, identity and desire in the context of digital cultures. Deirdre has extensive experience as a curator working with artists led initiatives for the last 10 years. She received a BA In Fine Art from DIT and MA Vis in Visual Art Practices from DLIADT. Deirdre also works as MART’s Gallery Manager in Dublin. Edward is CIACLA’s Financial Bookkeeper; overseeing the center’s day to day spending and budgets. He also works as MART Gallery & Studios Dublin’s Operations & Finance Manager. He has a background in Animation and Illustration. As a not for profit organisation CIACLA relies on a skilled team of paid and voluntary staff. Matthew is an Irish visual artist, designer and curator. He is Co Founder of MART Gallery & Studios and CIACLA. 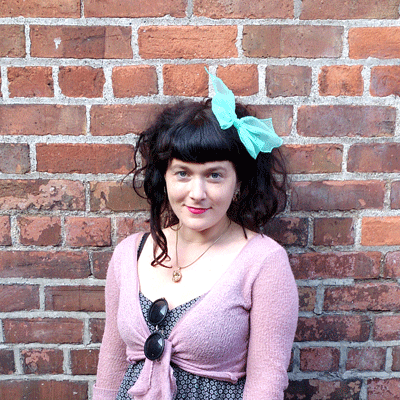 Ciara is an Irish visual artist and curator. She is Co Founder of MART Gallery & Studios and CIACLA. CIACLA is conceived by Matthew Nevin & Ciara Scanlan of MART Gallery & Studios Dublin, with support from the Government of Ireland: Emigrant Support Programme. CIACLA is supported by MART Gallery & Studios Dublin. MART is an Irish arts organisation founded in 2007 by Matthew Nevin & Ciara Scanlan. With the help of a skilled team, our mission is to provide creative art studios and promote contemporary art through an engaging curatorial programme. Nevin & Scanlan have curated hundreds of artists through previous exhibitions, events, festivals and art fairs across Ireland, UK, Europe, USA & Japan. In 2012 the pair embarked on a 16 month journey to transform the old Rathmines Fire Station, launching two galleries in 2013 as a new home for contemporary art in Ireland. MART primarily supports sculpture, video, new media, installation and performance, art making practices that break new ground, that test and stretch the material and immaterial, and challenge conventions of ‘the norm’. In 2016 we had our biggest reach to date, as we signed on eight Artists to be represented by The MART Gallery in a first for the organisation. MART’s 2017 programme was supported by The Irish Arts Council. We are the largest supplier of independent, affordable space for the arts, cultural and creative community in Dublin city. We operate to develop and promote contemporary art. We now support over 170 members in eight studio buildings across Dublin. Check out our studios info pack. In the past MART has run successful platforms for the showcase of contemporary art through our Hired Gallery Programme, Residency Space, Online Gallery, Project Space, and MARTExperiments. MART has received local and international Press through strong marketing drives. Check out our latest booklet and other publications. We are an artist-led, self-sustaining organisation for the development and promotion of contemporary art. We firmly believe in the self-determining artist and art organisation, as a vital societal and cultural catalyst. We practice facilitative and collaborative methods of curation and art production, led by and for the artist, and their practice. We develop creative platforms to support and challenge artists and as a means of promoting cultural leadership. We use methods of pooling resources, problem-solving, exchange and cooperation to resource art, develop and build artistic and civic communities. We advocate for contemporary art, and the artist, through engagement with civic bodies, political representatives, public funding bodies, local and national businesses, national and international cultural bodies and institutions. We seeks to create opportunities in which practitioners are encouraged to take risks and move beyond traditional models of exhibition and art-making.